If you are planning a vacation in America's Southwest, you will want to include these top vacation destinations. Monument Valley, one of the most spectacular sights in the southwestern United States, is located in northeast Arizona (although the entrance is actually in Utah). It is a Navajo Tribal Park. Touring Monument Valley is easily the top highlight of any visit to the Southwest. 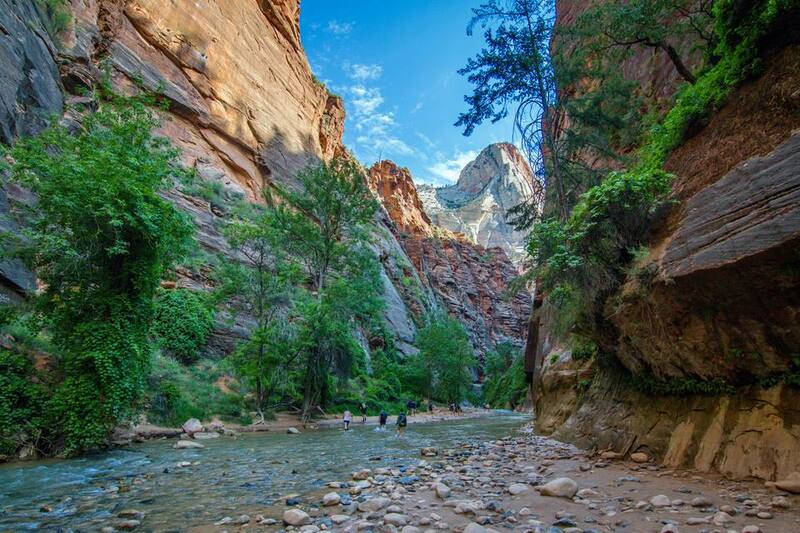 These beautiful parks are located in southwest Utah and are within an hour from each other. With our resources you'll find everything you need to plan your Bryce Canyon and Zion National Park vacation, including directions, maps, photos, lodging, camping, things to do, weather, and more. The closest major airport is Las Vegas, Nevada, which is little over two hours away. The Grand Canyon offers a variety of memorable experiences, from canyon hiking to mule rides and walks along the rim to a wild west train ride from Williams to the park. Visitors can camp, stay in one of the historic lodges, or fly or drive in from surrounding cities. The closest major airport is Phoenix, Arizona, which is approximately three hours away. Santa Fe is a hub of culture and arts. Surrounded by the natural beauty of the New Mexico landscape, the downtown area is known for its historic sites. The closest large airport is Albuquerque, which is one hour away. It's hard to say which is more spectacular: the old pueblo atop the mesa, the new Cultural Center and Museum, or the drive through spectacular rock formations. The 70-acre village is the oldest continuously inhabited city in the United States. Take the tour atop the mesa while knowledgeable guides explain the history, show you the beautiful mission, and lead you through the village past small tables laden with the pottery of very talented Acoma residents. San Antonio captures the spirit of Texas. As of 2017, San Antonio was the seventh largest city in the United States. Despite its size, the city has retained its sense of history and tradition, while carefully blending in cosmopolitan progress. The city has always been a crossroads and a meeting place. Sounds and flavors of Native Americans, Old Mexico, Germans, the Wild West, African Americans and the Deep South mingle and merge. San Antonio has its own international airport. Lake Tahoe, with it's sparkling blue waters, pine trees, and bike trails, is a paradise for outdoor enthusiasts. In South Lake Tahoe, you can also enjoy the casinos, restaurants, and shows. There is something for everyone at Lake Tahoe. Rocky Mountain National Park and Roosevelt National Forest surround the villages of Estes Park and Grand Lake, Colorado with spectacular mountain scenery and abundant wildlife habitat. The park is known for its miles of hiking trails and scenic drives including Trail Ridge Road over the Continental Divide and the Peak to Peak Scenic Byway. The closest large airport is in Denver. Sedona, Arizona is a magical place. There is so much to see and do. Some come to experience the spiritual side of Sedona and visit the Vortex sites. Others come to relax at a resort and shop at the galleries and boutiques. Or maybe finding some great hiking sites is what you want to do. No matter what, you will not be disappointed by Sedona. What Should You Wear in Las Vegas?